free. Refreshments available, plant sale, sorry no dogs, very limited wheelchair access. children free. Home made teas, plants for sale. 18, 19, 27 and 29 Holly Grove, Peckham, London, SE15 5DF. 6.30pm – 9pm. Combined admission: adult £6, children free. Refreshments available. Motoring Mayhem. It needs to stop – now. 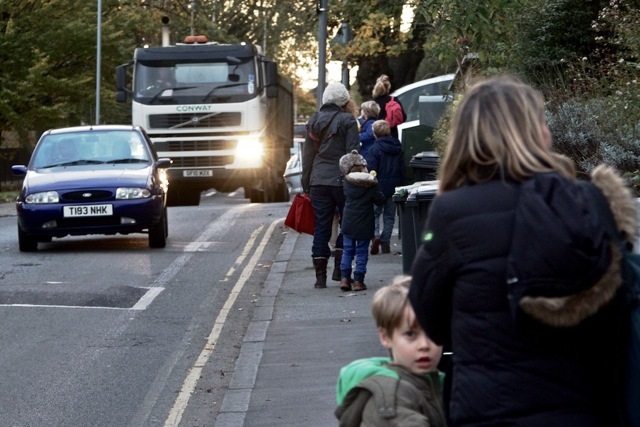 The speed and volume of traffic in Canonbie Road and adjacent streets, particularly during the school run period, has prompted highly concerned residents to form a campaign group to address growing safety concerns. Mothers Against Motoring Mayhem (MAMM) aims to engage the local authority, police, and local schools in a constructive dialogue about these safety issues and work with them to develop solutions. If these problems are not properly addressed, it can only be a matter of time before a tragic accident happens. The approach roads to Fairlawn School and St Francesca De Cabrini School are very narrow, and wheelie bins left on the pavement on refuse collection day further compound the problem. Parents walking their children along Honor Oak Road to either of the two schools are often forced to step off the pavement, or even walk along the very busy where the speed limit of 30mph is frequently exceeded by many drivers. There are no adequate, properly maintained, or visible road signs warning motorists of the danger of a school. Given that in dry conditions the typical stopping distance for a car travelling at 30mph is 23 metres (about the same length as 6 cars), the potential hazard for young children is clear. The traffic flow and dynamics of the increasingly high volume of traffic on Honor Oak Road is causing an increasing number of drivers to use Canonbie Road to avoid the traffic build-up. It is now a really busy ‘rat run’ with a constant stream of vans, trucks and cars using it, especially between 7.30am and 9.30 am when the children are on their way to school. Crossing the road is difficult as visibility is poor due to the gradient of the hill – Canonbie Road is one of the steepest roads in South East London and several dangerous incidents have occurred that increase the hazards to children as well as adults. Recent incidents include vehicles entering from Honor Oak Road stopping suddenly or sliding backwards owing to the steepness of the slope, and drivers losing control of their vehicle and crashing into several parked cars and the front garden walls of three residents. Coaches and lorries have even more problems negotiating the hill. Additionally, the steep slope requires vehicles to engage a low gear which results in increased emissions of hazardous clouds of exhaust fumes. Children are more susceptible to the effects of air pollution – because of their height they have greater exposure to pollutants emitted close to the ground. Emissions are made worse when vehicles accelerate and decelerate between speed bumps. Many frustrated drivers see the wide road as an opportunity to overtake vehicles observing the existing 30mph speed limit in what has become increasingly a rush hour frenzy. There has also been an alarming rise in the use of Netherby Road as a rat run by parents driving their children to St Francesca De Cabrini School. When dropping off their children, many parents stop close to the junction of Forest Hill Road and Honor Oak Road or drive-up onto the pavements used by pedestrians, many of whom are parents walking their children to school. Other examples of irresponsible driving include parents performing U-turns to go back down Forest Hill Road after dropping off their children. Our children have no sense of the danger, but we do. We must act now to safeguard them. For more information about the campaign, see the January 2014 Newsletter. 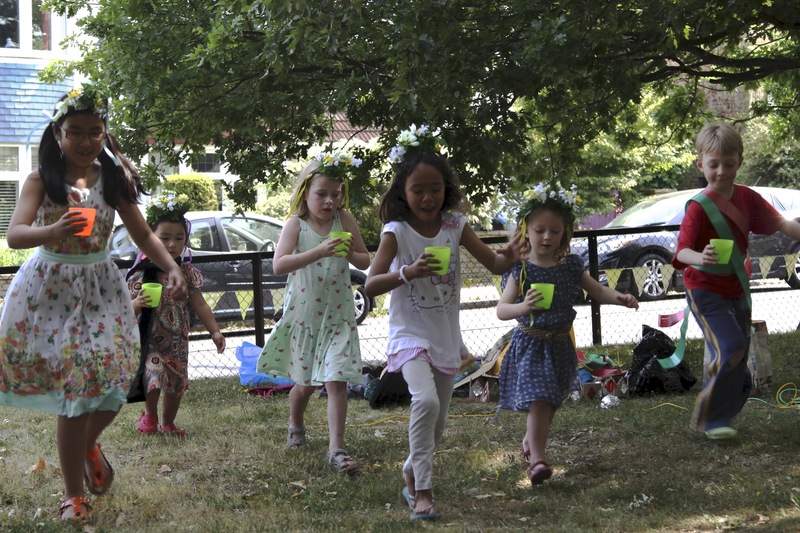 Every year the Summer Picnic in the Triangle is different, but having enjoyed the Queen’s Diamond Jubilee theme last year, we thought the Queen’s Coronation might lend itself equally well as a theme for the children’s games this year. Having gathered together shiny toffee wrappers (the toffees were gallantly consumed solely for this occasion), kitchen foil, and other shiny gold and silver things a couple of evenings in advance, we made a sceptre, six crowns, and six diamond ‘eggs’ to balance on spoons, as well as putting together six sets of smart gear for visiting the Palace. On the day, the children were more than happy to jump over ropes wearing crowns and to act as ladies or pages in waiting, bringing much needed water to a very authentic looking freshly crowned Queen sitting on her throne holding her sceptre. There was also a ‘Pin the crown, or handbag, (or moustache!) on the Queen’ game, with the option of pinning crowns on the corgis for the smaller children. Finally, having already run the ‘Dress for the Palace’ race, the children were ready, sparkling and smart, for a royal procession which was led through the Triangle and cheered on by the adults. Of course, our Summer Picnics are not usually this regal, and I think that next year’s theme is likely to turn to football, with the World Cup being played out in July 2014 in Brazil. Any suggestions of football related activities for the children, and possibly even the adults, would be gratefully received! It was not a promising start. The day of the Association’s firework party dawned anything but bright and clear – it was pouring with rain, and looked set to stay that way. But the fireworks, food and wine were bought, so there really was no alternative but to go ahead. There is a large covered area under the School for spectators, but this is small consolation if you happen to be one of the team of pyrotechnics! A start on setting up the display was made, but, as the rain continued to fall steadily, it was decided to reconvene later that day in the hope that the weather would improve. We need not have feared. Eventually the rain eased off and, although somewhat later than planned, Association members were able to enjoy the mulled wine and traditional bonfire night fare: sausages, chicken in barbecue sauce, chilli con carne, homemade pizzas, spare-ribs, and mini-hamburgers as well as baked potatoes and salad. Vegetarians were not forgotten with an even more varied range of really delicious dishes this year. Then the pyrotechnic team took over and worked their magic. 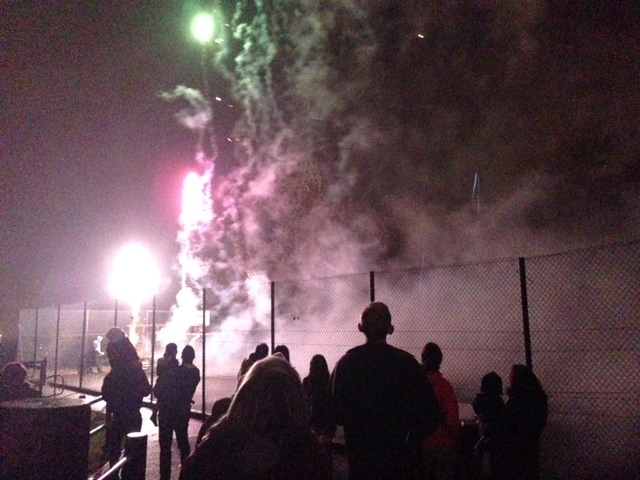 Despite the appalling weather conditions earlier in the day, their efforts resulted in a magnificent display of fireworks that was really appreciated by the 200 or so members who attended. This annual event could not happen without the team responsible for both the lighting and fireworks display. However, there are many other people who make the event the success it has become, including the army of cooks willing to help provide that important hot food and warm mulled wine. Most importantly, we owe a huge vote of thanks to Julia Clark, Head Teacher of Horniman Primary School, for once again allowing us to hold the event in the school grounds.